The GEP-ZX4 is a nice mini frame, designed for a maximum of 4” propellers and we are going to use it for our next FPV Racer. 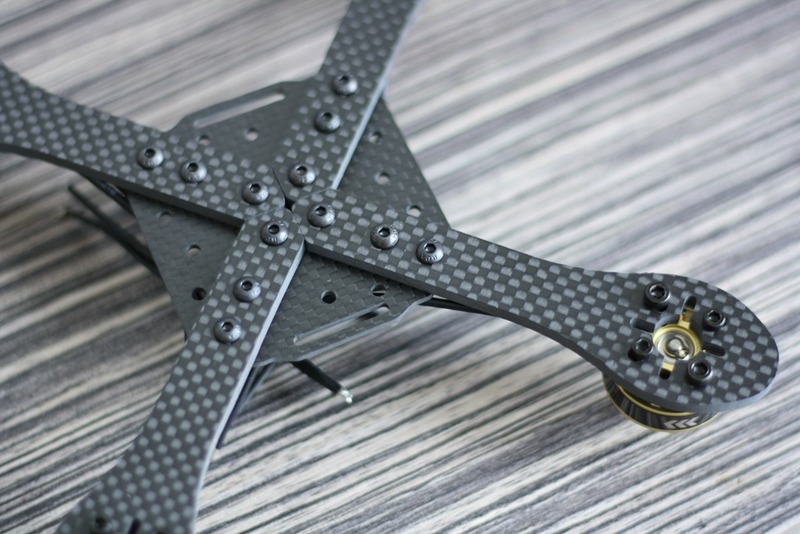 The frame is made of 3k carbon and has a wheelbase of 170mm. 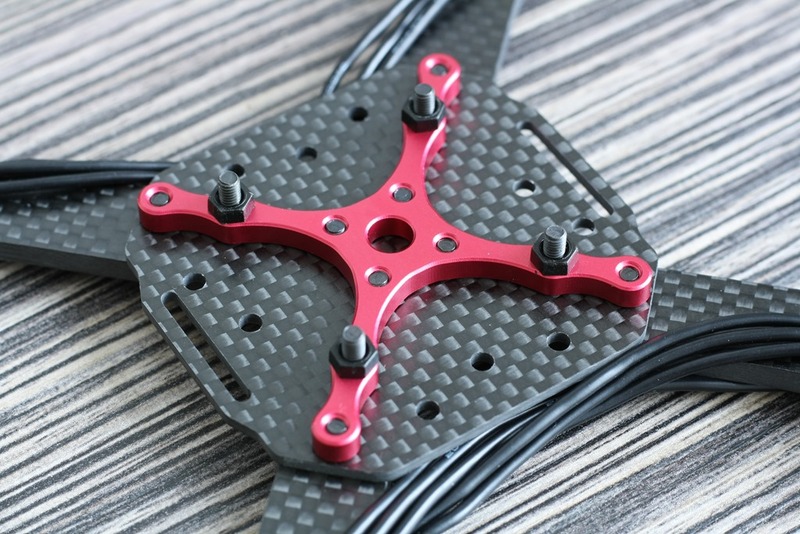 You can mount any motor with standard mounting holes of 19 x 16mm. The arms are made of 4mm carbon and the complete frame weight is about 100g. 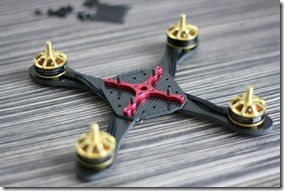 You will find the 1.5mm thick main plate, the four arms as well as the top cover and FPV equipment mount. Additionally you get battery strap, battery power cable and distribution board. The quality of all parts looks good so far. First we mounted all four motors on the frame arms. 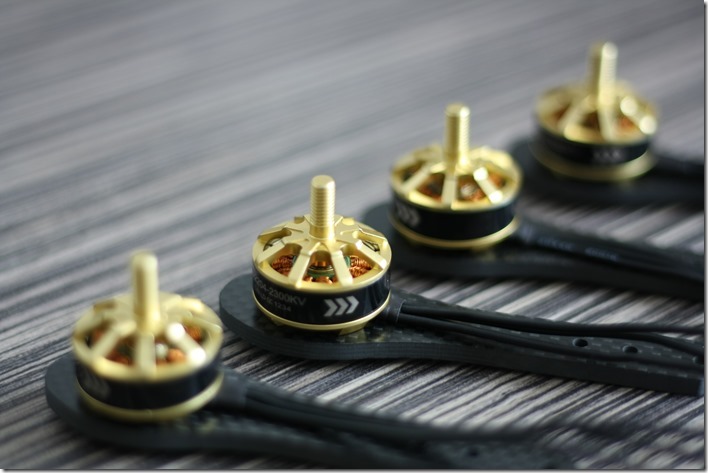 We are using the 2700kv version of the same Scorpion MII 2204 motors for more than an year and they are still rock solid. Next we assembled all the arms together with the main plate using the red aluminium part. Note that four of the screws in the middle are a bit longer than the other ones. 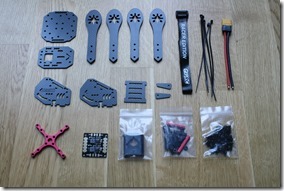 You will need to put the plastic nuts on those to avoid any shortage with the power distribution board (PDB). 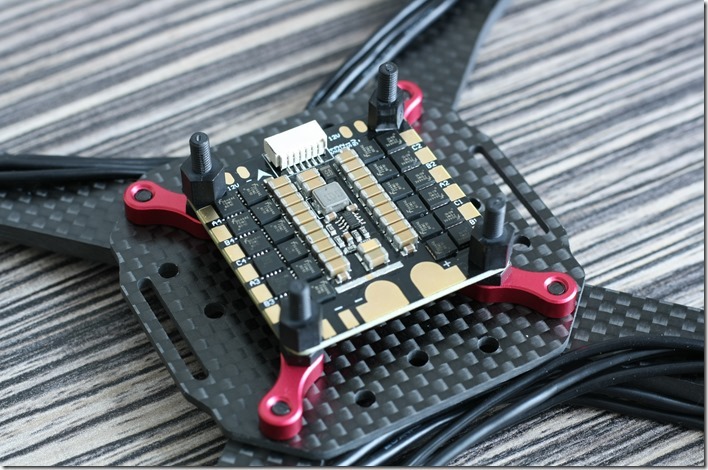 Instead of mounting the supplied power distribution board, we mounted the new Aikon SEFM 30A 4-in-1 ESC. It has an integrated 5V and 12V BEC, so we don´t need the PDB. On top we placed four plastic spacers. We needed to slightly cut the motor cables and soldered these to the pads of the ESC. Its an easy job and the build looks very clean. 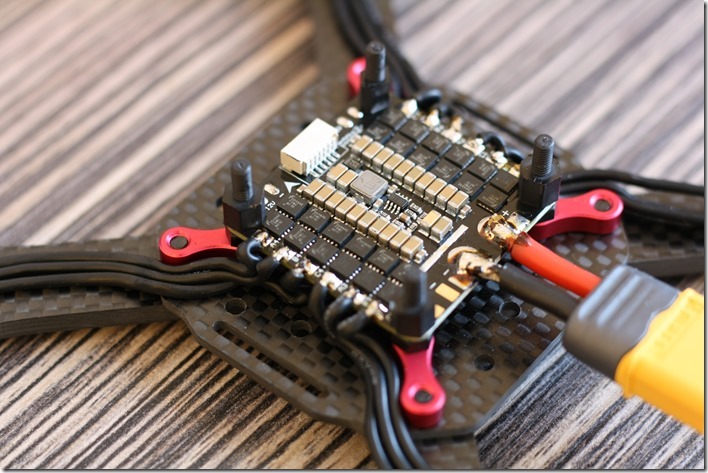 The power cables were also too long, so we cut them to about 2cm and soldered directly to the power pads on the ESC. Make sure to solder wires to the 12V BEC, which you could use to power your FPV equipment. 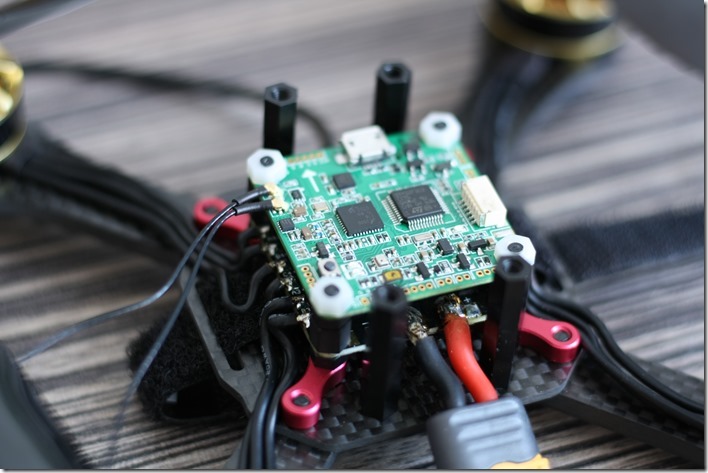 If you are using the Aikon 4-in-1 or any other BLHeliS ESC you don´t need to reverse any cables, because you can define the motor direction in the BLHeli Suite software. Next thing to do was to connect the signal wires from the Aikon ESC to the FrSky XMPF3E flight controller (FC). We wanted the cleanest possible build, so we decided to solder these wires directly to the pads on the down side of the FC. 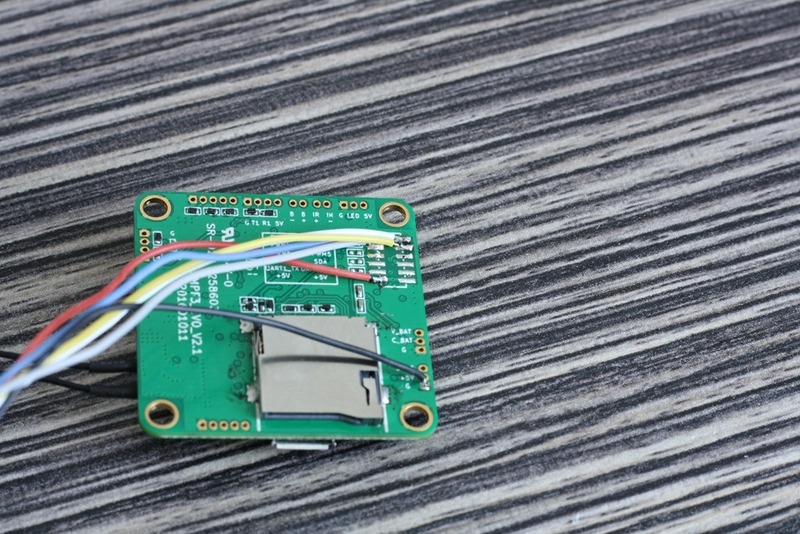 The FrSky XMPF3E flight controller has an integrated FrSky XM+ receiver, so we don´t need an additional one to connect to our FrSky Taranis. 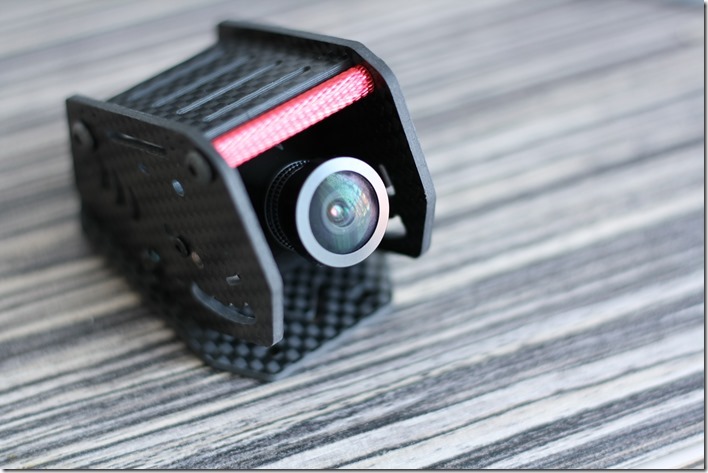 Firstly we tried to mount the RunCam with its adjustable mount, but it doesn’t´t fit the upper part of the FPV pod. This is why we mounted the camera directly between the carbon parts. It was quiet challenging and took us about 10minutes. 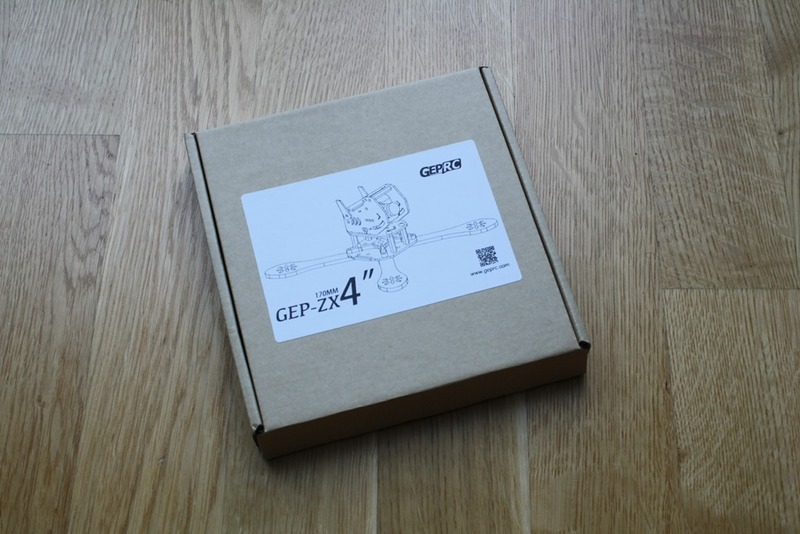 The design can be definitely improved by GEPRC. Next we connected the 12V wires to the Aomway 200mW video transmitter, which we mounted on the top with a zip tie. 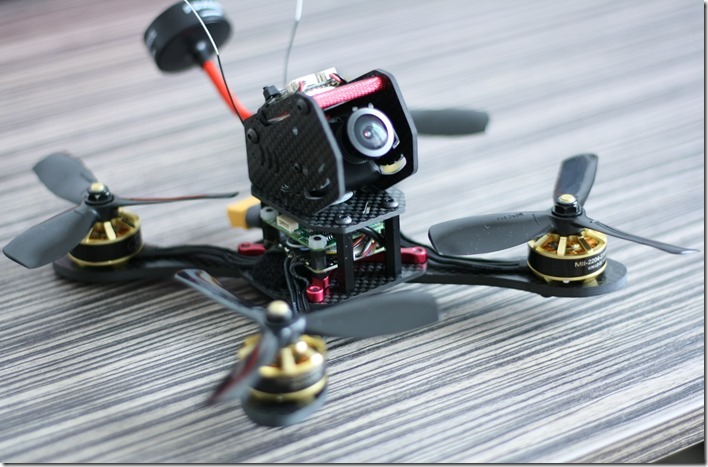 The transmitter is supplying the RunCam with 5V. 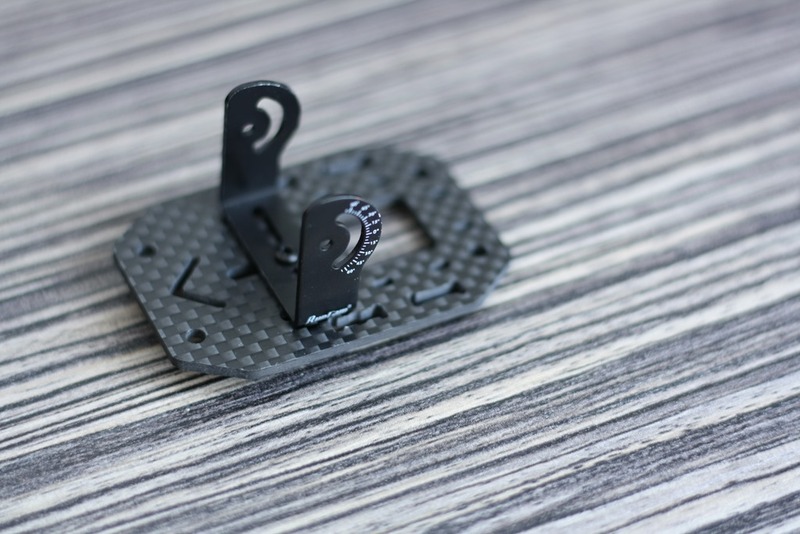 Once all parts were connected, the FPV pod was mounted to the top main plate using 2 screws and lock nuts. 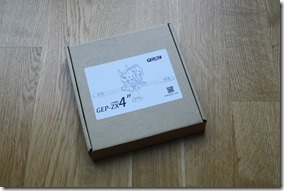 The GEP-ZX4 build is ready! 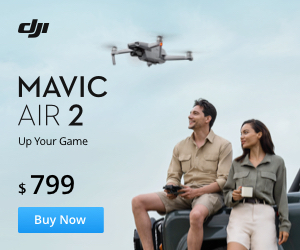 AUW is 291g (without battery). Now we need to tune it a bit and go out for maiden flight. If you have any questions, leave us a comment. Stay tuned and follow us on Facebook.